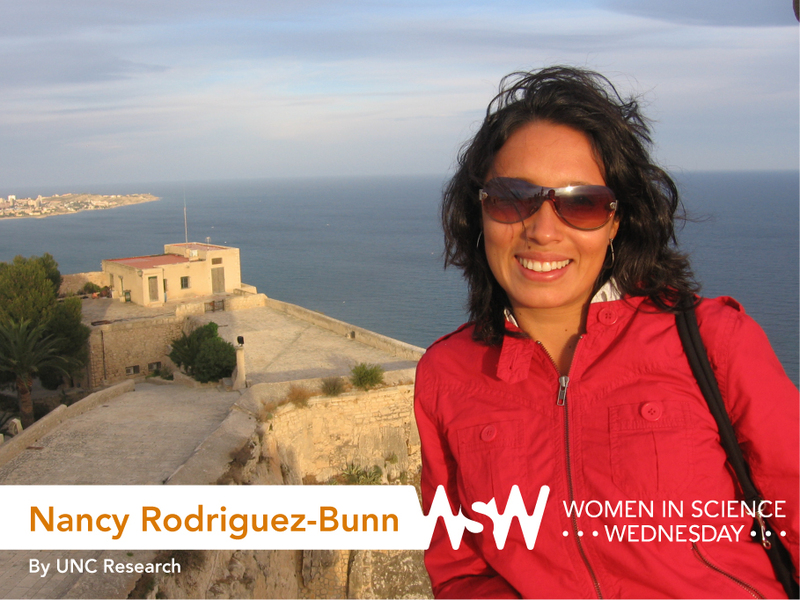 Nancy Rodriguez-Bunn is a mathematics professor within the UNCCollege of Arts and Sciences. Her research focuses on mathematical modeling and analysis to shed light on topics like urban crime, segregation, cell movement, and ecology. I grew up in a small, rural town in Mexico so it was difficult to have high aspirations. My dream was to be a bank teller so that my grandparents would no longer have to stand in line to wait for service. Interestingly enough, my first job was as a bank teller, so you can say that I achieved my goal when I was 16 years old. I always loved mathematics. In particular, I loved that you did not have to memorize concepts, but rather think through steps to get to the answer. I believe math teaches me the problem-solving skills that can help tackle some of the world’s many problems. Share a funny story about being a mathematician. My family understands very little about what I do. In fact, my parents still think I’m doing homework when they see me work. I remember two particularly funny moments both related to my sisters, neither of whom are fond of math. The first one was when I was home over the holidays, sitting at the kitchen table working on my thesis work. My older sister approached me and asked me why I was drawing “little snakes” (referring to the integral sign). Another time, my younger sister, when talking about my profession, said she wished that I was a “math-magician,” so that I could make all of math disappear. Reach out to professors and fellow colleagues interested in mathematics. This field is much more fun when you can discuss problems with others. Have mentors who will advocate for you. Most importantly, work hard, but also play hard. Sometimes you get stuck thinking about a problem — too focused on the tree instead of the forest. It is so important to step back from your work and give yourself some breathing room to recover and relax. In mathematics, this can truly improve your productivity and happiness.